When it comes to everyday residential cleaning and household tasks, laundry can feel like a drag. One of the biggest challenges is keeping white clothing from getting grey and dingy after several washes. Here are a few helpful tips to keep your white clothes looking their best. When you wash colored clothing—especially when they’re new—they often release dye that can stain your whites. As a general rule of thumb, bold colors like red, bright oranges, hot pinks, and deep purples should never be mixed with whites. Light pastels and gray as well as prints with a white background can be safely added to your whites pile without any dye transfer. Only put in the recommended amount of detergent for the size of your laundry load (i.e., small, medium, large, or extra large). These guidelines can always be found on the back of the bottle. If you add more detergent than necessary, too many suds can trap stains on white clothes, making them difficult to remove. Hot water kills germs while removing dirt from fabrics, so it’s ideal for white clothing. However, check the guidelines on your garment tags to ensure they won’t shrink or get damaged from high temperatures. Natural fibers like wool, cotton, and linen are more shrink-prone than polyester or silk. Shrinkage can usually be avoided by tumble drying your white clothes on a lower setting. For 100% cotton that isn’t preshrunk, skip the dryer altogether the first few washes. If you’re a fan of traditional laundry detergent, many popular brands offer laundry whitening products. 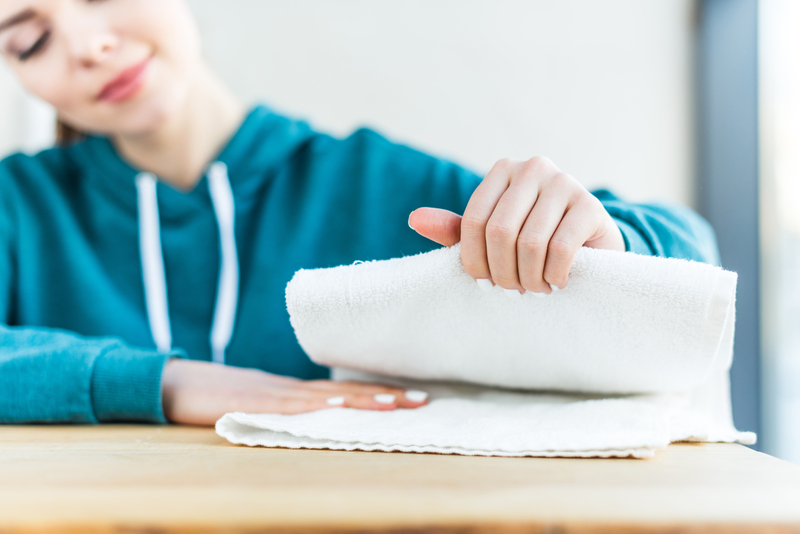 However, some people believe it’s healthier to avoid using harsh chemicals for laundry; if you do, have your residential cleaning service use lemon juice as an alternative to bleach. Have them mix half a cup of lemon juice and a gallon of hot water to use when laundering the white clothing. When you want to ensure your whites stay white, contact a quality residential cleaning company. Based in Monmouth County, NJ, Mumz Cleaning Service specializes in both commercial and residential cleaning services. Whether you need occasional carpet cleanings or regular cleaning services, this family-owned and -operated company has the professional tools and experience to handle the job. To set up an appointment, call (855) FOR-MUMZ or contact them online.